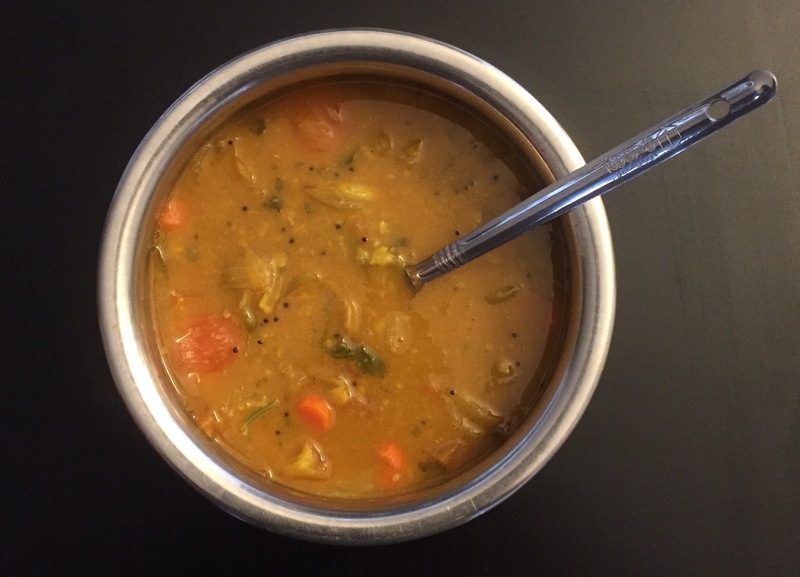 This is a special, authentic South Indian comfort food. We literally have this every morning as our breakfast. These soft cloud like idlis are made of rice and its soaked in a very tasty lentil sambar topped with some flavorful ghee. This mini version is my favorite since it looks so cute and appetizing. In Restaurant menus it will be listed as Ghee or Mini idlis in the appetizer section. My kids call them “Button idlis” because they are so tiny and looks like buttons:) Normally, we make them in bigger version but especially for kids these dainty little idlis are very appealing and easy to eat in one bite. Doesn’t this look yummy . You just want to dive in right ? I’m telling you, it’s lip smacking good ! Steamer or a shallow pan with lid. Brush the pan with little bit of oil . This step really prevents it from sticking to the pan and you can easily scoop it out once it’s done. Use a tiny spoon and fill the mould . Pour some water in a shallow pan. Cover it tightly so the steam doesn’t escape. It takes only couple of minutes to cook. Check promptly and take it out. It is very important that you let it cool for sometime. Don’t try to scoop out the idlis when they are hot it won’t come out in one piece. Now the button Idlis are ready let’s see how to make the tasty South Indian Sambar. Peel the carrots and dice it. Wash the coriander leaves and curry leaves chop it and keep it ready. Wash and cook the yellow lentils, add 1/2 cup of water and make it like a batter. This way it easily dissolves in the hot sambar and it won’t clump up. You can use pearl onions or diced regular onions. 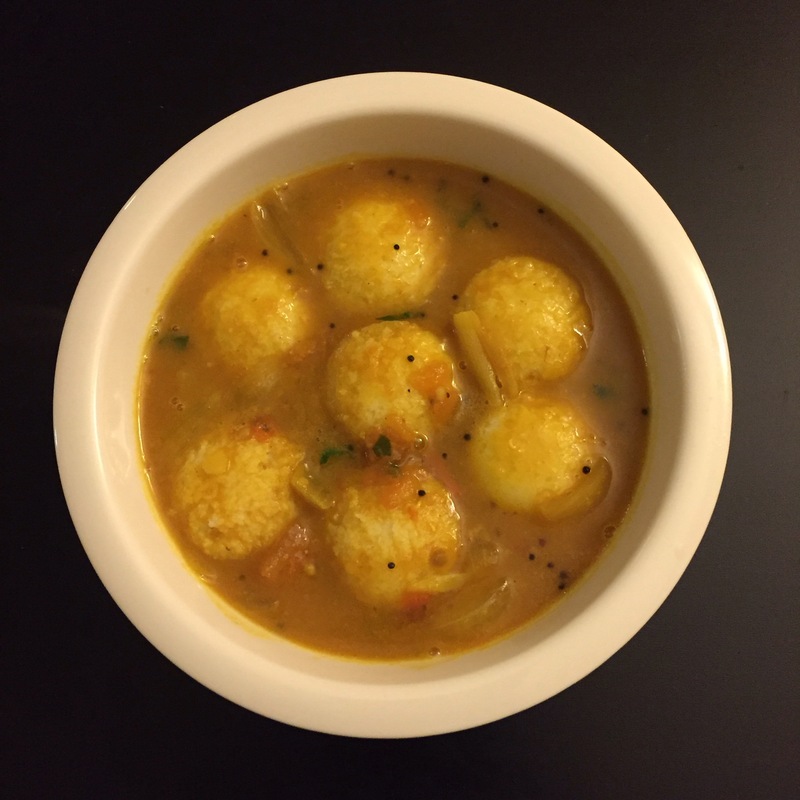 Pearl onions are little sweet in nature so it tastes little different in sambar. Once the onion gets translucent, add 3 cups of water, turmeric powder and Asafetida, mix it well cover it and let it come to a boil. Add the tamarind paste and the tomatoes and let it simmer for sometime. once you smell the aroma of the sambar powder add the mashed lentils. Mix it well and let it simmer for sometime. No need to thicken it needs to be little runny so that the Idlis get a chance to soak. Use your nose as a guide it will tell you exactly when the sambar is ready. Now we have to add the seasoning. Heat 2 teaspoons of oil add the mustard seeds, once it pops add the curry leaves and pour it on top of the sambar and mix it nicely. Now the sambar is ready lets assemble the tasty concoction. 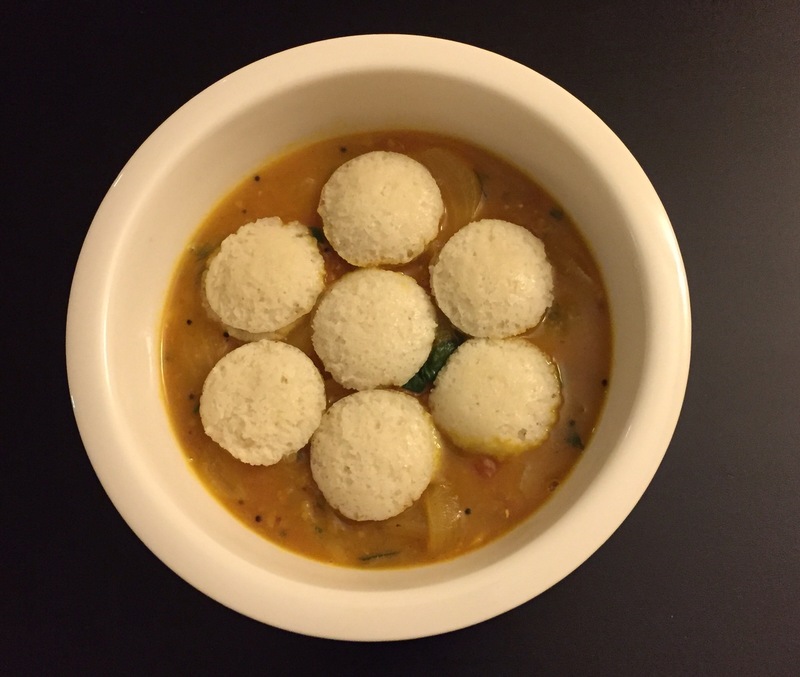 The room temperature idlis absorb the hot sambar in seconds. So no need to wait, you can eat it right away. I wish you could smell this. It is out of this world ! Doesn’t this look delicious? It is extremely tasty and smells amazing. So hard to resist. 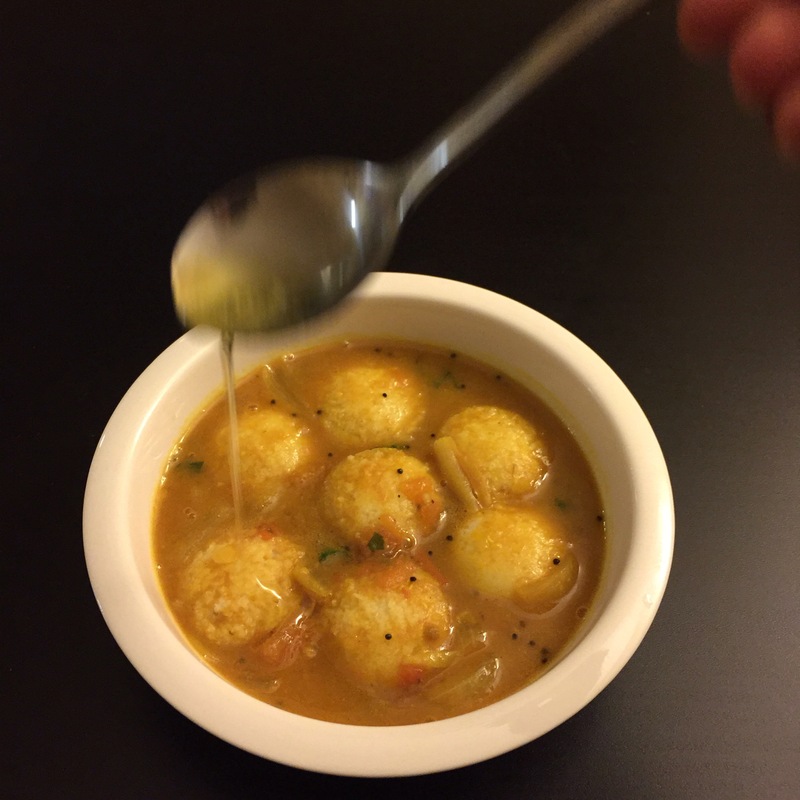 This is my soul soothing comfort food, it literally soothes you the minute you sip the warm sambar and the soft idli. And the aroma of the flavorful ghee takes it to the next level. I make this very often during the cold winter months. It warms you up in seconds. 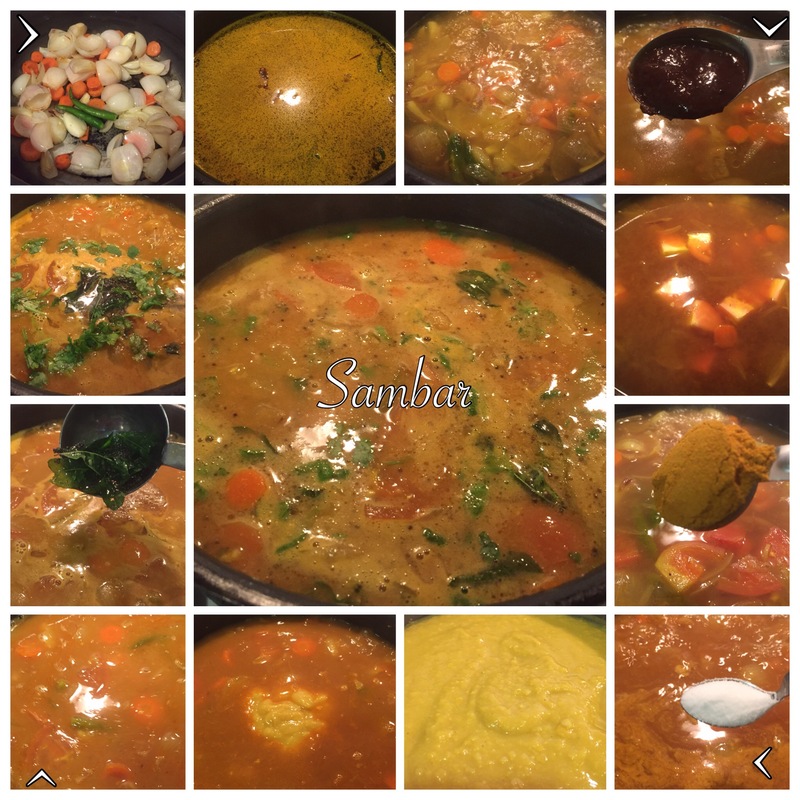 This Sambar tastes great with Rice and Dosa too. 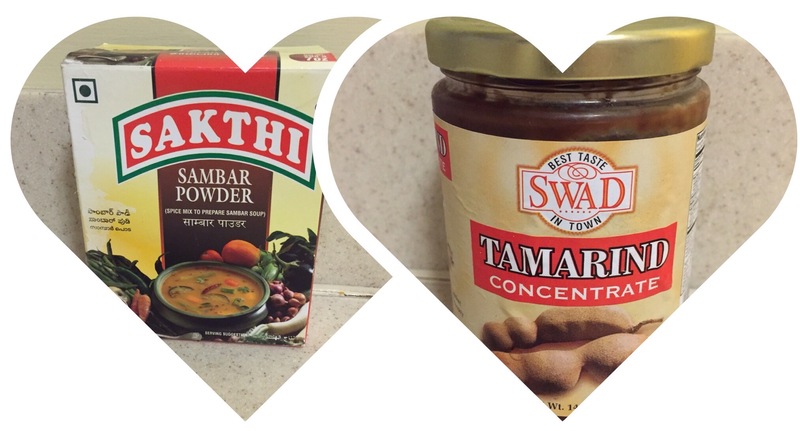 Every household has their own version of sambar powder. 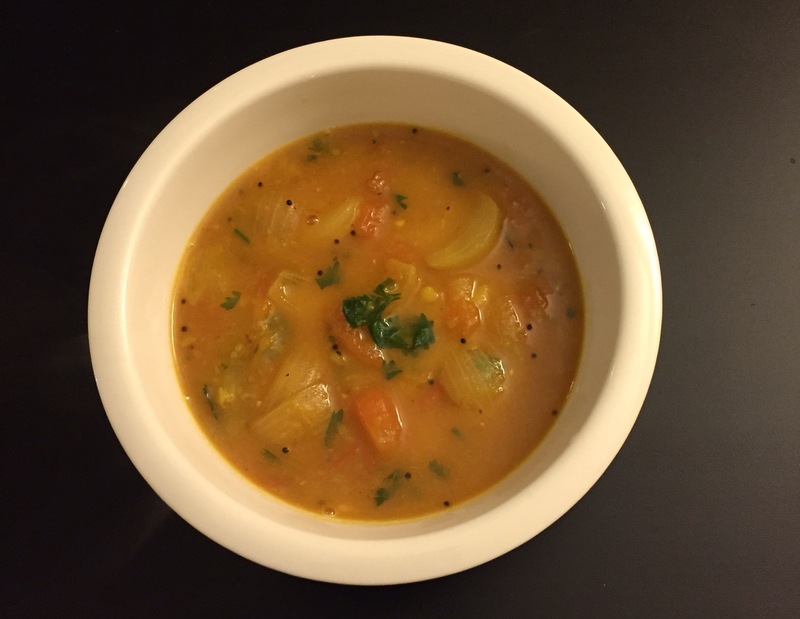 I have used homemade sambar powder for this recipe. This is my mom’s recipe, I’m happy to share it with you. In a hot pan add a teaspoon of oil and fry the red chilis.Take them out put it on a clean dry plate to cool. In the same hot pan put the coriander, Toor dhal , rice and fenugreek and fry them until they get the golden color. Put it on a clean dry plate and let in cool completely. Now put everything in a blender or a spice grinder and grind it into a fine powder. Store it in a glass bottle. I store mine in the freezer it keeps them fresh for a long time. Sambar powder and the Mini idli pan are available in Indian grocery stores or you can buy it online too. When it comes to sambar powder, there are so many brands to choose from, each one slightly varies in taste and ingredients. 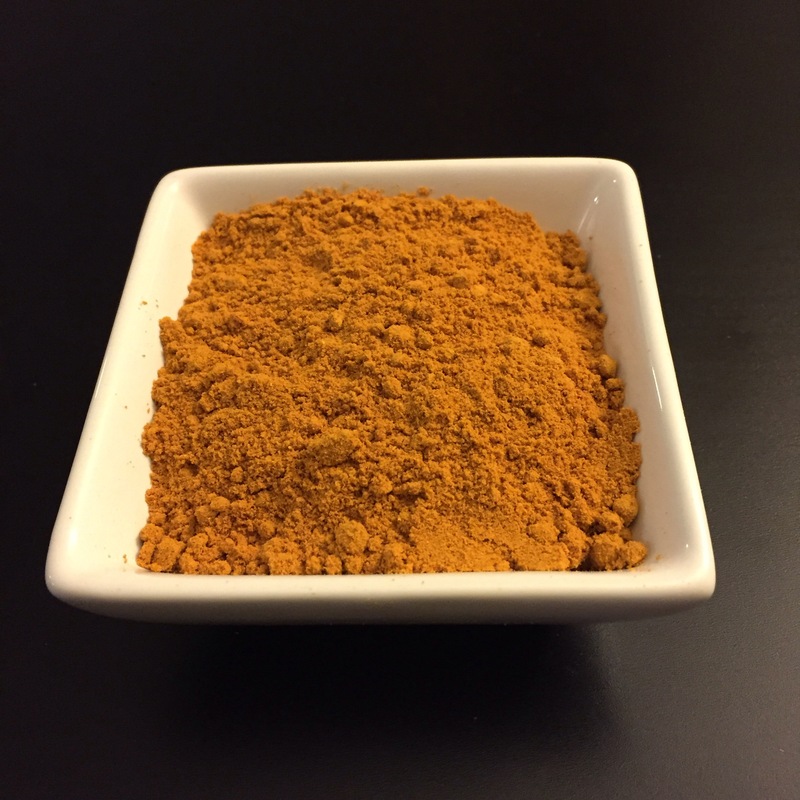 Sakthi’s sambar powder is my favorite since it has the authentic South Indian taste and aroma. 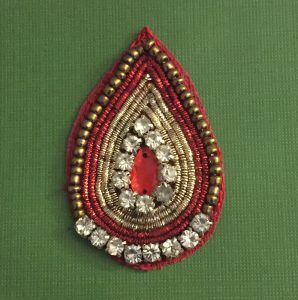 I have used Swad’s tamarind concentrate. It saves you so much time, it’s already soaked and dissolved in water and comes in the form of a pulp, easy to use and tastes as good as the fresh ones. If you don’t want to use tamarind you can use tomato paste for the tangy part. 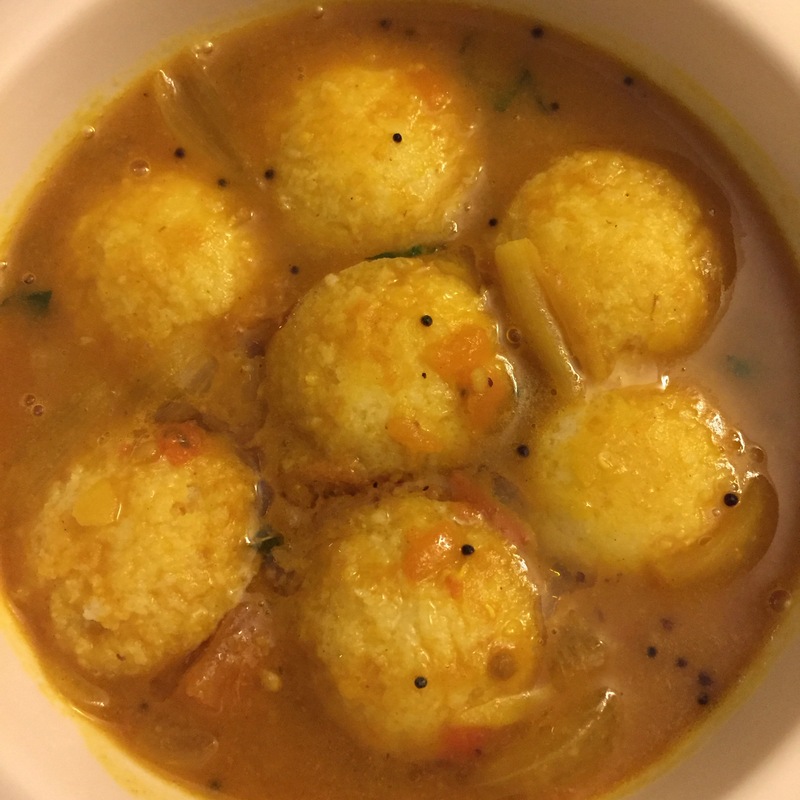 Recipes for Idli Batter and Ghee….. 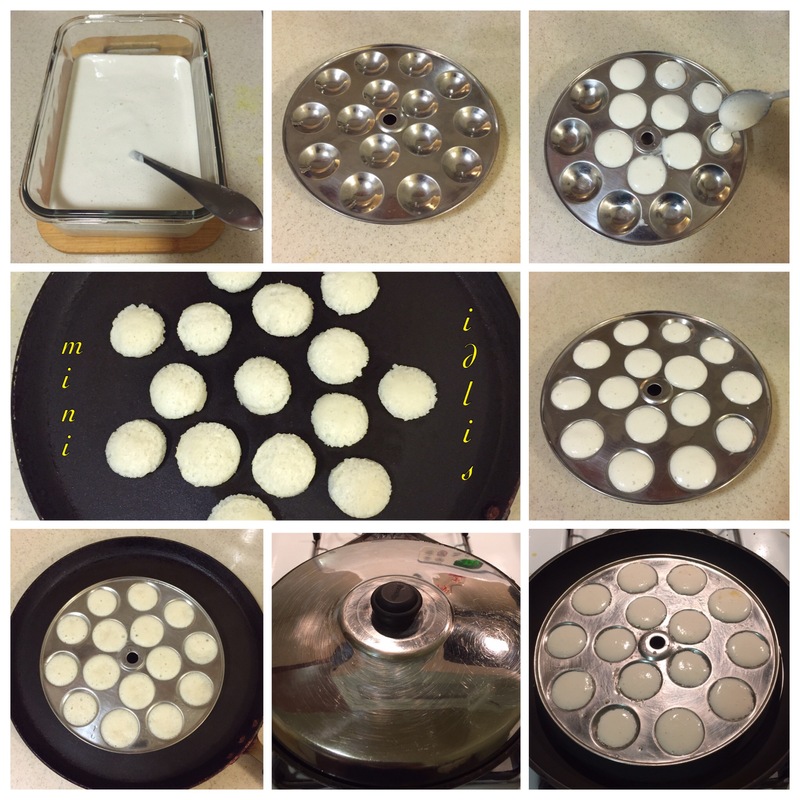 If you want to know how to make Idli Batter < Please click here. 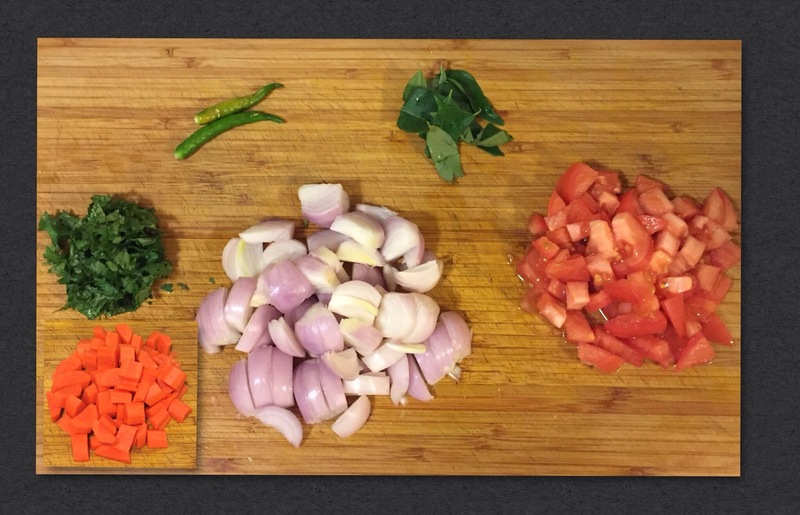 It has step by step instructions of how to make idli/dosa batter with clear pictures. At the end of the post you will see information,uses and the procedure to make ghee with vivid pictures. I’m very happy to present an authentic South Indian dish. Hope you all enjoy it too. Wow. Loved it. Will surely try. Thanks for sharing.